ZTE has been going after the unlocked market in the U.S. with its Axon family of smartphones, with the most recent release being the Axon 7 in July. Now the Axon family is growing again. 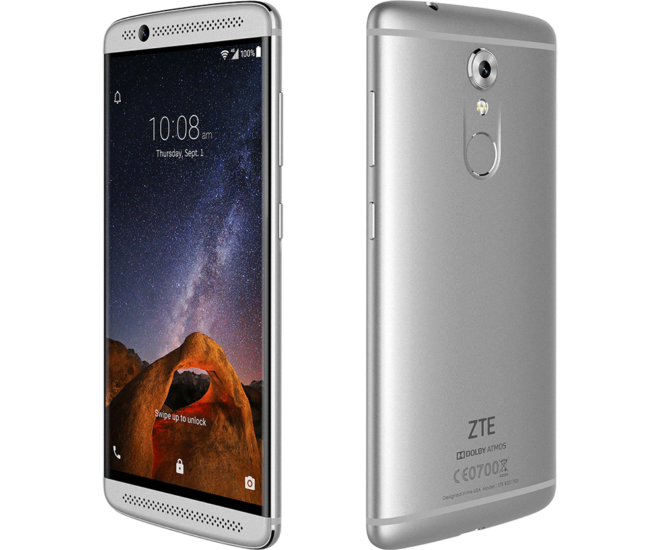 The ZTE Axon 7 Mini was announced today at IFA 2016. 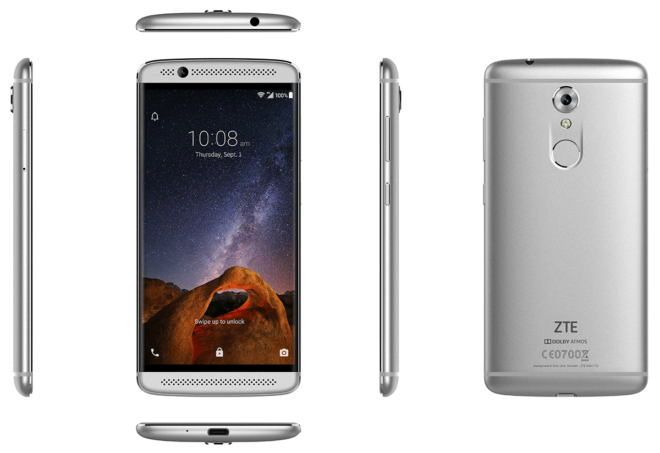 As you might expect, the Axon 7 Mini is a smaller version of the Axon 7, but both phones offer a similar outer shell. They’ve both got the same design, they’ve both got front-facing speakers, and they’ve got both got fingerprint readers below their rear cameras. Things get a bit different when you compare spec lists, though. The Axon 7 Mini boasts a 5.2-inch 1920×1080 AMOLED display, whereas the Axon 7’s got a 5.5-inch 2560×1440 AMOELD screen. Inside the Axon 7 Mini’s all-metal unibody shell is an octa-core Snapdragon 617 processor, 3GB of RAM, 32GB of storage, dual SIM slots (slot two can also hold a microSD card), a 2,705mAh battery with Quick Charge support, and a USB Type-C port. There’s a 16-megapixel camera on the back of the Axon 7 Mini that offers phase detection autofocus and a dual LED (single-tone) flash, and around on the front of the phone there’s an 8-megapixel camera for your selfie needs. The software powering the Axon 7 Mini is Android 6.0.1 Marshmallow. Finally, the Axon 7 Mini’s wireless connectivity includes GSM 850/900/1800/1900, HSDPA 850/900/1700/1900/2100, and LTE bands 1/2/3/4/5/7/8/12/17/20/38/40/41. ZTE tells me that the Axon 7 Mini will support LTE band 12 and VoLTE on T-Mobile, but not Wi-Fi Calling. 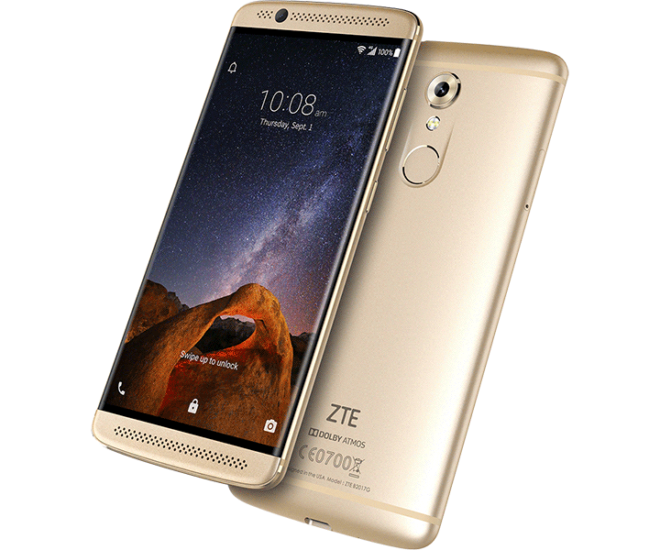 ZTE plans to launch the Axon 7 Mini in Russia, Germany, Spain, Poland, Japan, Australia, India, and Saudi Arabia at the end of September for €299 ($333 USD). The Axon 7 Mini will be sold in the U.S., too, but ZTE hasn’t yet divulged its U.S. launch and pricing plans for the phone. The Axon 7 Mini isn’t quite as high-end as its larger Axon 7 sibling, but it’s still got a respectable feature set with premium features like a metal unibody design and dual front-facing speakers. We’ll have to wait and see how ZTE ends up pricing the Axon 7 Mini, but if you’re in the market for an affordable Android phone, this one might be worth keeping an eye on. Nice phone for the price, assuming they don’t jack up the price once sold in the USA. Typo I think: “ZTE tells me that the Axon 7 will support LTE band 12 and VoLTE on T-Mobile, but not Wi-Fi Calling.” I think you meant the Axon 7 Mini there. Though to be honest, the Axon 7 so far also doesn’t support WiFi calling (supposedly there’s a hold up in the certification or something). Yep, you’re right! Thanks, Bryan. That’s too bad that it won’t support WiFi calling…seems like T-Mobile is really starting to limit that back down to the phones they carry. And after all that work to get the code into Android itself, too…. Alex when are you going to do a review on The Robin by Nexbit,since they have ad on here or am I the only one getting that ad? I just bought my daughter and wife Nextbit Robin’s for 175 with masterpass promotion on Newegg. They both like them so far…..My daughter is selling her Note 3 with flaky GPS and will almost come out even….with what she thinks is a much better phone….My wife’s Note 4 screen just died…..she liked it better than the Robin…missing IR….camera not as good….and no S pen…. Thanks for the review,still using my Note3,not having found a phone that better than it,not going to pay another $700. for a phone ever again. Was hoping HTC,would bring out bigger screen phone like between 5.5 to 5.7,8,9. But they have not. Might buy Slyto2 from LG.,but my Note 3 works fine.Stick with it for now. Dang, I wish Axon 7 mini had at least the Snapdragon 652 processor, which is much more powerful, and WiFi calling. I have to use WiFi calling in several places like Sam’s and University of MS Medical Center. Interested in the opposite – a Maxi 7″ version. Come on Axon, and come on Blu! I like almost everything about this except the Snapdragon 617 for only $65 less than an 820 in a OnePlus 3. I agree. It should have been the Snapdragon 652, if the Snapdragon 820 was not to be used.